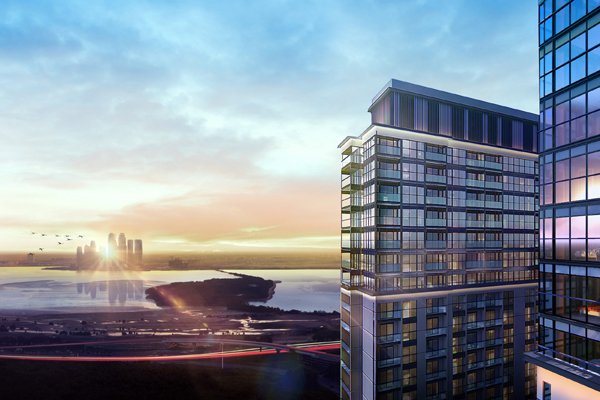 Sobha Realty, a leading premium real estate developer in the UAE, has announced the launch of Tower B of its twin-tower residential development Creek Vistas at Sobha Hartland in Mohammed Bin Rashid Al Maktoum City. The move responds to eager market demand following the success of the project’s first tower that sold out shortly after its launch, said a statement from Sobha Realty. Creek Vistas is part of the sprawling Sobha Hartland community - an 8 million sq ft expanse of luxury apartments, villas and townhouses. The project is envisioned as a tranquil getaway from urban life, with 30 per cent of the land bank dedicated to green open spaces. The newly launched Creek Vistas Tower B will consist of 390 units comprising one- and two-bedroom apartments ranging from 493 to 899 sq ft and feature classic interiors with a modern twist. Following an east-west orientation of the tower, the 28-floor towers will rest on a two-level podium to provide prime vantage points for the city’s iconic landmarks. Each unit will include a balcony, a fully-equipped kitchen, central air-conditioning, smart home automation, and premium fixtures and finishes. Select apartments will also comprise a study. Residents will have access to an infinity swimming pool, a gym and a vast landscaped deck. The twin towers will also offer shaded parking for 780 cars, said a statement. True to its name, the mid-rise project will offer scenic views of Dubai Creek, Downtown Dubai, Ras Al Khor Wildlife Sanctuary and Dubai Water Canal. Speaking on the new project, CEO Francis Alfred said: "Set amidst the lush, vibrant landscape of Sobha Hartland, Creek Vistas embodies a new and refreshing take on luxury waterfront living. The launch of the second residential tower reinforces our commitment to creating spaces that positively shape human lives and re-imagine urban communities." "Strategically located near Dubai’s top attractions, the project that offers a green sanctuary in the heart of the city has already received global attention," stated Alfred. "Sobha Hartland continues to consolidate its position as a preferred destination for real estate investors worldwide. At Sobha, we are dedicated to redefining the real estate value chain through leveraging our inherent in-house capabilities of conceptualisation, design and development to deliver living spaces that meet the evolving market needs, bolstering our 42-year legacy of building luxury developments," he added. Apartments at Tower B are available from Dh820,000 ($223,219). Home buyers can opt for an easy payment plan with a five per cent deposit on booking, followed by five per cent payments every three months until September 2021 and pay the remainder upon completion. As part of a special promotion, buyers have the chance to win travel vouchers worth up to Dh5,000, furniture vouchers up to Dh15,000 and school discount vouchers up to 28 per cent annually, said the statement.